Seven Inches! | The Happy Wonderer ~ ellen b. 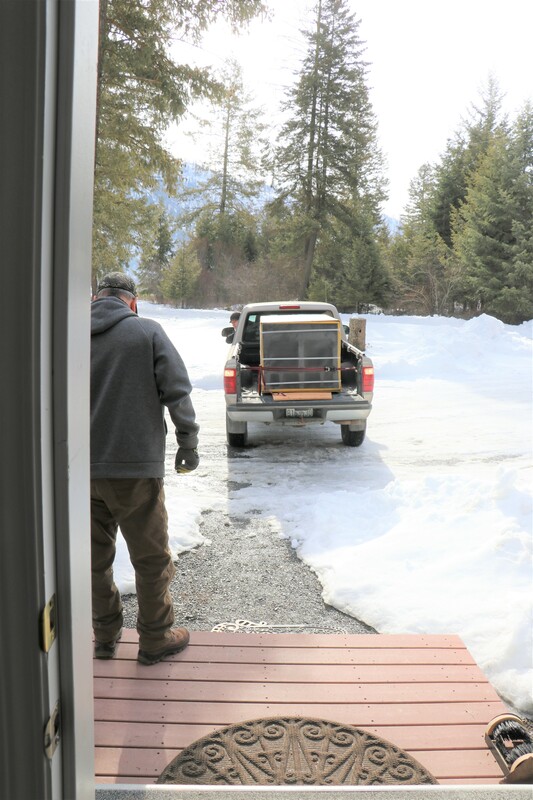 Our son helped us out on Saturday by picking up our new refrigerator from the hometown Sears in Colville. This refrigerator came with our country bungalow. It’s relatively new and in good condition but it’s just too big for our space. I knew during the first walk through of this property that this refrigerator was too big for the space. 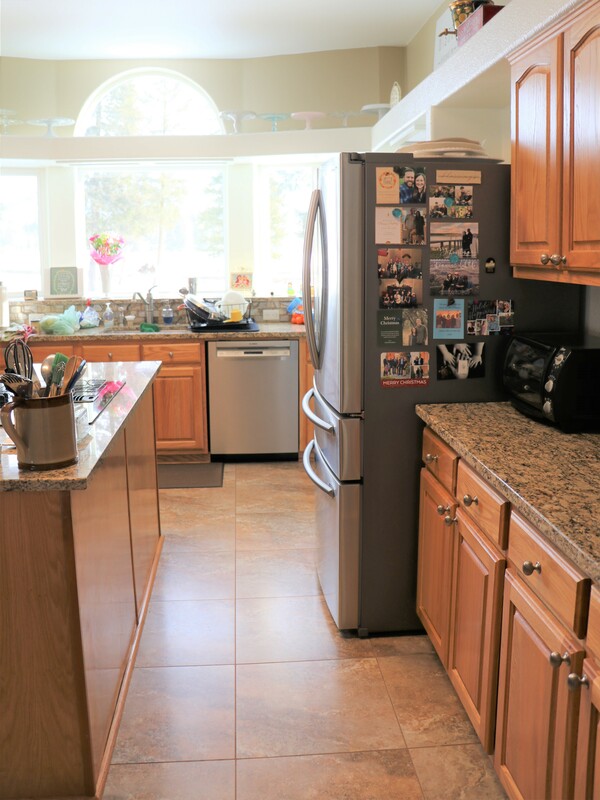 We decided to order a counter depth refrigerator to give us much appreciated space between the refrigerator and the island. If you needed to move in this space you’d appreciate the extra space as much as we do. We found a good space for the big refrigerator where we can open it’s doors with lots of room to spare. 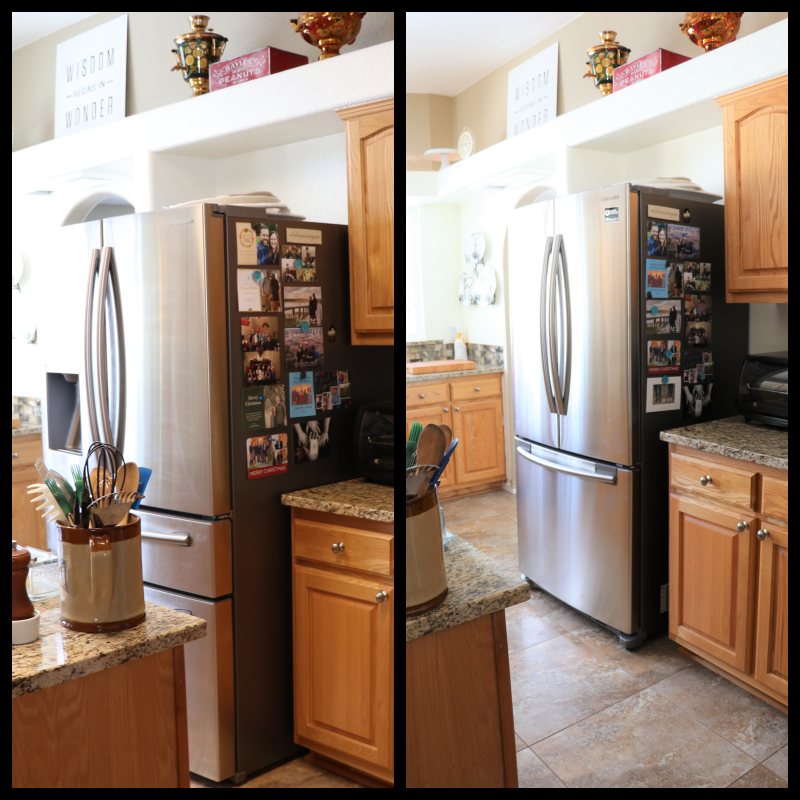 To get the monster refrigerator out of our kitchen Dear and our son Dan had to take the doors and handles off and it was still a very tight squeeze through the doorways. We even had to take the door stop moldings in the door frame to the laundry room off to get the refrigerator through the doorway! 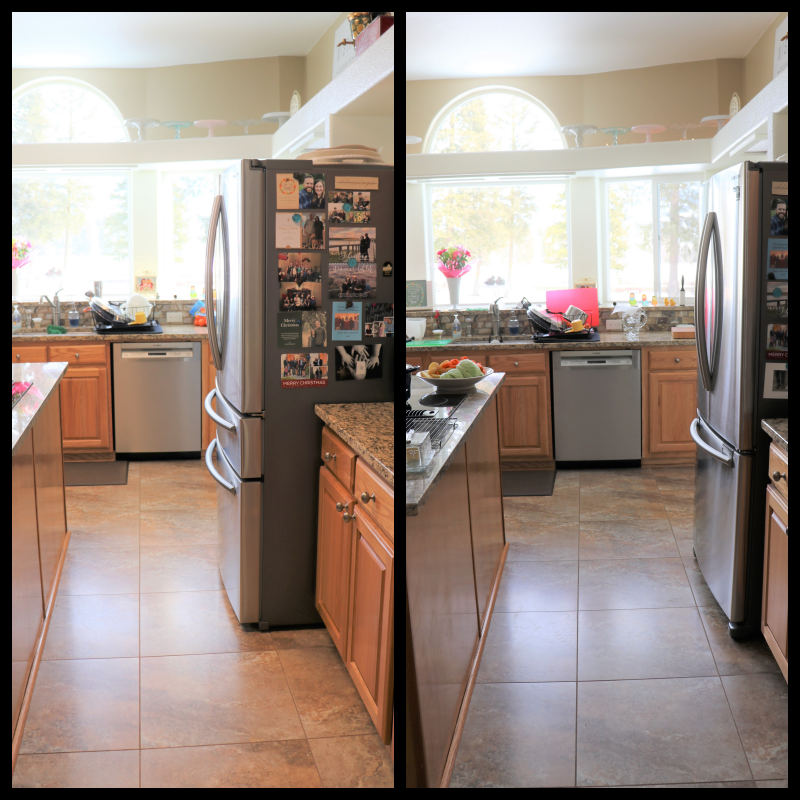 Posted on March 21, 2019 by Ellen •	This entry was posted in Before and After, Homemaking and tagged Counter Depth Refrigerator, New Refrigerator. Bookmark the permalink. …the former owners must have gotten a great deal on it! Hello, a smaller fridge was a great idea. It makes more sense to have more room in the kitchen. That is a monster refrigerator. Enjoy your day, have a great weekend ahead. Glad you found a good space to put the big refrigerator so that you have more room to move around in the kitchen. They’re not easy to transport and put in place so it’s good you had some help. Have a good day! It always amazing me what a difference a few inches make. It also makes the entire kitchen look more uniform. Love it. I, too, got a counter depth refrigerator about two years ago and really love it! My previous one, like yours, stuck out too far in the room! We passed it along to our son and DIL. I especially like the shallowness of the shelves; it helps me clean it out often and not lose anything hiding behind other foods! Ellen, that’s wonderful! My refrigerator is ancient and so “could go” at any time, so I’ve done my research so as to be able to act quickly when that day comes. Very few counter depth refrigerators come in the size that I need, 33 inches wide. The 36-inch models are the most popular. Looks like a good decision to go smaller. Bigger isn’t always better! 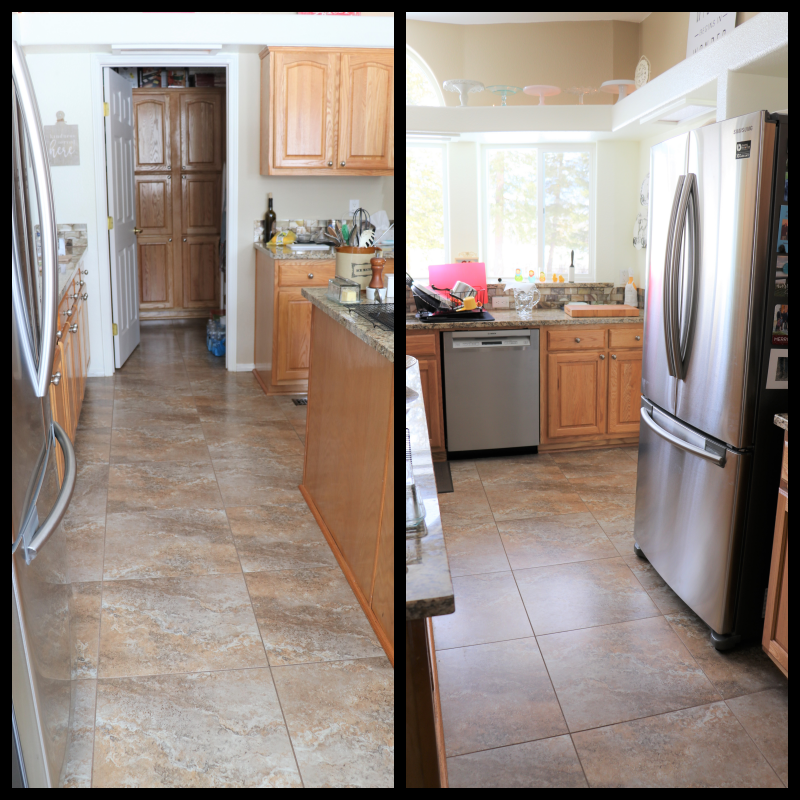 I like the new look/space and having that monster fridge as an extra in the garage is a bonus! What a great improvement. The extra inches make a huge difference. Glad you’re keeping the old one though as it’s valuable space for all your entertaining prep. 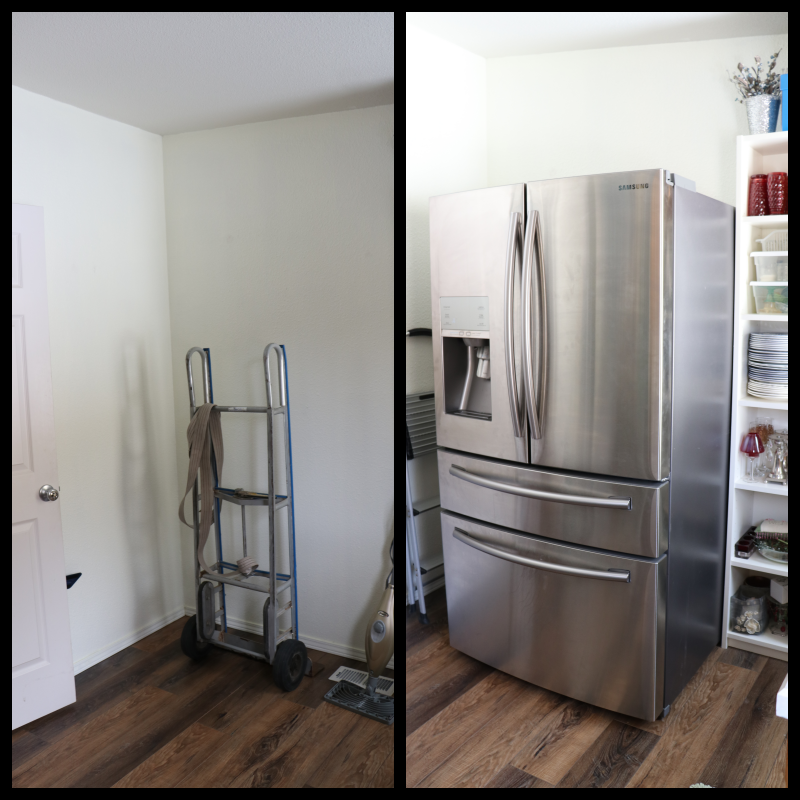 You were wise to get a refrigerator that fits closer to the wall and gives you more room to move, as we all spend so much time in the kitchen!